Principles of Anatomy & Physiology, 2nd Asia-Pacific Edition (Tortora et al.) 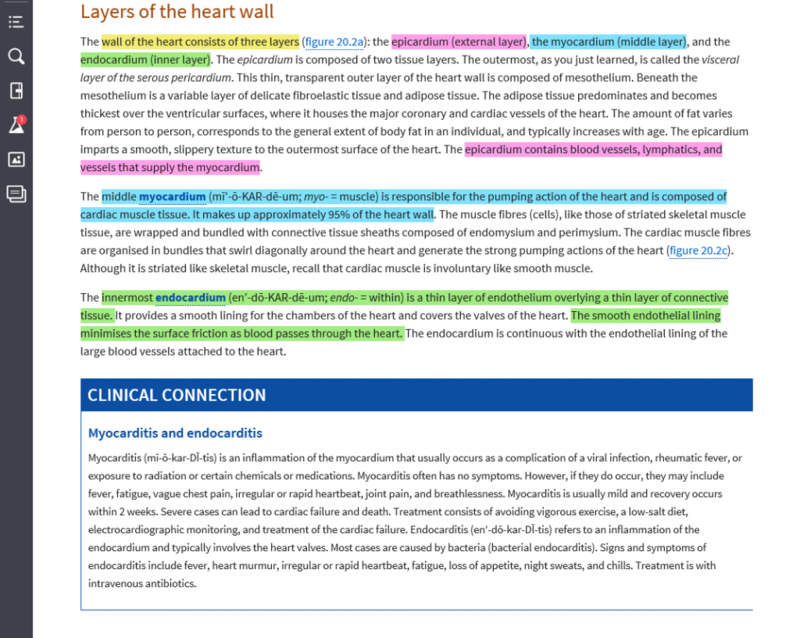 enables every introductory student to master concepts and succeed in the exam, combining exceptional content and outstanding visuals for a rich and comprehensive classroom experience. Our lead Australian author, Brendan Burkett has hand-picked a restrained set of the best questions and animations (and worked solutions) to help students at the point-of-learning. 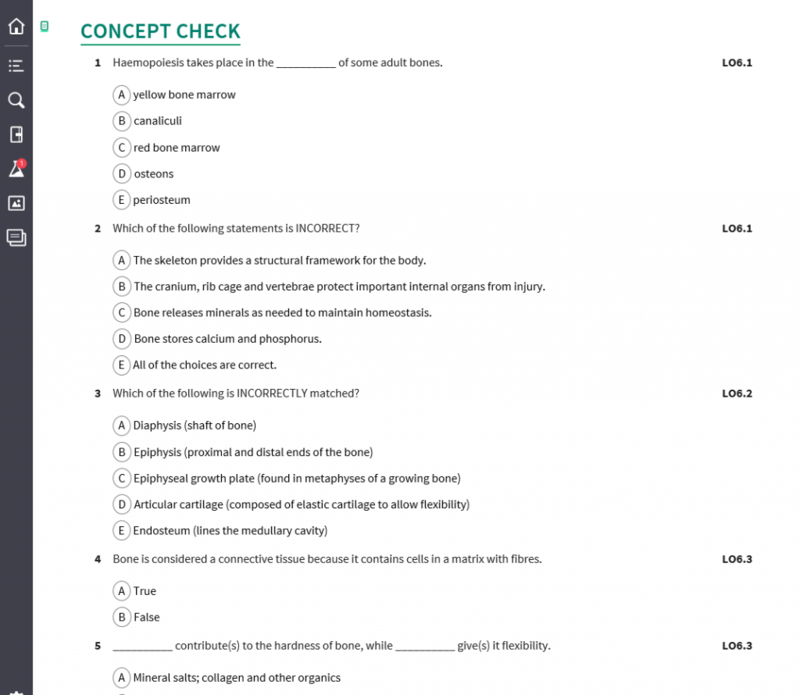 We make learning A&P concepts fun with local clinical cases and spotlights, concept check questions, and immediate feedback means that the students know they are making progress, which builds their confidence and motivation to study! 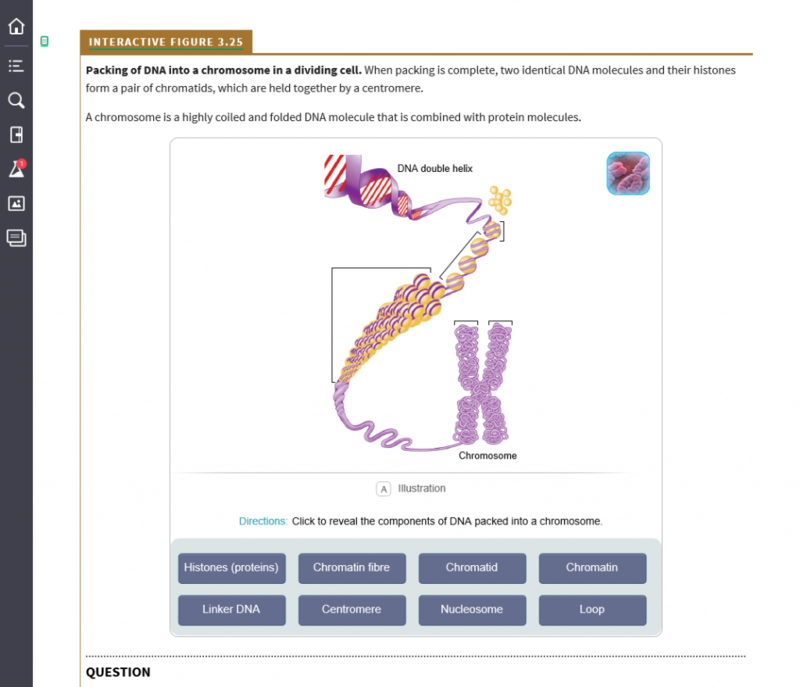 A full-colour textbook with an interactive eBook so they can switch between reading something tangible, and studying with the online (or offline) learning resources. Gerard Tortora is Professor of Biology and former Biology Coordinator at Bergen Community College in Paramus, New Jersey, where he teaches human anatomy and physiology as well as microbiology. He received his bachelor’s degree in biology from Fairleigh Dickinson University and his master’s degree in science education from Montclair State College. He is a member of many professional organisations, including the Human Anatomy and Physiology Society (HAPS), the American Society of Microbiology (ASM), the American Association for the Advancement of Science (AAAS), the National Education Association (NEA), and the Metropolitan Association of College and University Biologists (MACUB). Above all, Jerry is devoted to his students and their aspirations. In recognition of this commitment, Jerry was the recipient of MACUB’s 1992 President’s Memorial Award. In 1996, he received a National Institute for Staff and Organizational Development (NISOD) excellence award from the University of Texas and was selected to represent Bergen Community College in a campaign to increase awareness of the contributions of community colleges to higher education. 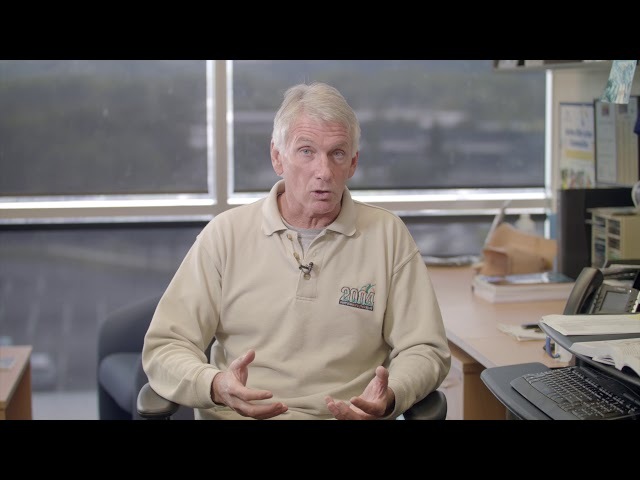 Jerry is the author of several best-selling science textbooks and laboratory manuals, a calling that often requires an additional 40 hours per week beyond his teaching responsibilities. Nevertheless, he still makes time for four or five weekly aerobic workouts that include biking and running. He also enjoys attending college basketball and professional hockey games and performances at the Metropolitan Opera House. Gregory Peoples (Bachelor of Biomedical Science, first class honours; Diploma of Education, Physical Education; PhD) is currently a Senior Lecturer in the School of Medicine at the University of Wollongong. His primary training is medical physiology with a particular research focus on exercise and nutritional physiology. His research publications have emphasised the important role of the cell membrane to optimise heart and skeletal muscle function and more recently the influence of load carriage on respiratory mechanics. Gregory has ten years’ experience coordinating and lecturing undergraduate human anatomy and physiology at the University of Wollongong. His programs have been designed and implemented for students studying courses in exercise science and nutrition and have an emphasis on the applied nature of these professions, underpinned with a sound application of science. Danielle Dye is a Lecturer and Course Coordinator in molecular biology and biotechnology at Curtin University, having commenced there in 2010 as a Research Fellow. She holds a PhD in cell biology from the University of Western Australia and a BSc (Honours) from Curtin University. Danielle’s research focuses on the interactions between cells and their environment, with a focus on the role of cell surface molecules in melanoma metastasis. She is also involved in projects investigating the effect of ageing on cell regeneration. Danielle has published over thirty journal articles and one book chapter. Julie Cooke is a Senior Lecturer in Anatomy and Physiology in the discipline of sport and exercise science at the University of Canberra and is the Program Director of the Australian Biology Olympiad Program. Julie commenced her teaching career in 1998 at the Copenhagen International School where she taught biology. She completed a BSc (Hons) at Flinders University, South Australia, and received her PhD from the University of Adelaide in 2000. Julie has a passion for teaching and enjoys engaging students so that studying is easier and more enjoyable. She is an active member of Exercise Sports Science Australia and Sports Medicine Australia. Tara Diversi (MBA, MNutr&Diet, BHSc, GradDipPsyc, PostGradDipPsyc, GradCertHEd) is an Accredited Practising Dietitian and Advanced Sports Dietitian. She is a director of the Dietitians Association of Australia and National Dietetic Adviser to the Department of Veterans Affairs. Tara lectures at Bond University, CQUniversity and James Cook University. Her research is aligned with her sporting passion of marathon and channel swimming. She has worked a number of years as an expert in nutrition in private practice, private and public health consultancy, media and academia. Tara combines her expertise in nutrition with food psychology to help people achieve outcomes that are personalised, sustainable and suited to their individual lifestyle and goals. Mark McKean is Head of Physical Performance in High Performance Sport at the University of the Sunshine Coast. He has an extensive background in both fitness and strength and conditioning, coaching elite athletes in a range of sports. Mark is an accredited exercise physiologist with ESSA, a certified strength and conditioning specialist through NSCA America, and a level three Master strength and conditioning coach with ASCA. Mark is currently working with USC Spartans Swimming and Sunshine Coast Lightning Netball. Latika Samalia is a Professional Practice Fellow at the Anatomy Department of the University of Otago, Dunedin, New Zealand, where she teaches clinical anatomy in a number of undergraduate and postgraduate professional courses. She teaches the early and advanced learning in medicine, head and neck anatomy to dental students, and musculoskeletal and neuroanatomy to physiotherapy undergraduate students. She is a mentor for clinical undergraduate medical students at the Otago Medical School, running mentoring sessions for them on a regular basis. Latika received her medical degree (DSM) from the Fiji School of Medicine and her postgraduate degree in Science in Anatomy from the University of Otago. After practising obstetrics and gynaecology for a number of years, she took up academia. She has been instrumental in initiating and running a number of postgraduate anatomy workshops in her department, focusing on various clinical disciplines. She is passionate in promoting clinical anatomy education and is a highly devoted teacher, having been rewarded with several student and university teaching awards. Rebecca Mellifont is a Senior Lecturer in Sport Science (Anatomy) at the University of the Sunshine Coast. She completed her postdoctoral studies at the Sport Science Institute of South Africa in Cape Town, and in 2011 completed a Graduate Certificate of Professional Learning. Rebecca’s interests have developed from her PhD research in comparative anatomy, and her current research interests lie in the study of the biomechanics and three-dimensional gait analysis in children and sport applications, particularly swimming technique (and race analysis). Rebecca has been a biomechanist and sport scientist for the Australian Paralympic Swim Team, and has an interest in the scholarship of teaching and developing ways to improve the delivery and uptake of material (lecture and practical) in a higher education setting. 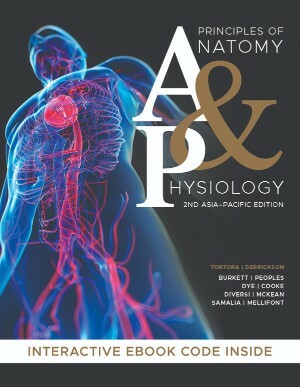 Students can purchase their Principles of Anatomy and Physiology, 2nd Asia-Pacific Edition (Tortora et al.) textbook from Wiley Direct.